Some stories never die. Some need to be buried again and dug up to be appreciated. That's exactly what is happening on Oct. 16 when Central New York artist Ty Marshal recreates the Cardiff Giant sensation from 1869. The Cardiff Giant hoax - often referred to as the greatest in American history - was the brainchild of New York businessman and atheist George Hull, who hired workers to carve a 10-foot-tall "petrified man" out of a block of gypsum after he had an argument with a Methodist reverend about the chapter in Genesis 6:4 that states "giants once roamed the earth." He then arranged for it to be buried in Cardiff, just south of Syracuse, dug up a year later and “found,” leading thousands of people to believe it was the petrified remains of an ancient giant man. It so captured the nation's attention that The Wonderful Wizard of Oz author L. Frank Baum and Mark Twain wrote about it. Later, a syndicate of Syracuse businessmen purchased the Giant for $23,000 and moved it to Syracuse for display, upping the price to $1.00 per view. Fast forward 142 years to Central New York artist Ty Marshal. Marhsal is creating a replica of the famous Cardiff Giant with plans to bury it in Syracuse’s Lipe Art Park on West Fayette Street - only to dig it up again on Oct. 16, the anniversary of the original Giant discovery. The artist is currently in his studio building the replica goliath, and will be using "Hypertufa," a blend of Portland cement, peat moss and perlite to “create a lighter concrete substance that can withstand harsh weather conditions." The original behemoth weighed in at 2,990 pounds, while Ty Marshal estimates his replica weighing about 500lbs. Once the giant sculpture is unearthed, it will remain on view under a tent, for one week, and transported by horse and buggy to The Atrium at City Hall Commons in Syracuse’s Hanover Square, and remain on view through Oct. 31. Film screenings, historic tours, stage readings and panel discussions are all planned to coincide with the exhibition. The original Cardiff Giant was such a sensation that showman P.T. Barnum offered to buy it from George Hull for $50,000. When Hull refused, Barnum built his own version, and displayed in New York City claiming the Syracuse giant to be a fake. But Marshal's recreation is less for suckers and more for fans of local history and lore. Along with the sculpture, local businesses are creating “Cardiff Giant” themed products. Examples include Cardiff Giant Soap, Chocolate Bars, Wine, Coffee and a Cookie mix, as well as t-shirts, buttons and posters. “Partnering with local businesses not only spurs the local economy, but also asks us to look at the positive effect of art, culture and technology on our economy – and there is no better time in history to focus on the new economy than the present." Syracuse, New York, unlike many cities in the Northeast’s “rust belt” region is currently experiencing a “renaissance” with a focus on arts, culture, and technology. “It is important to look at our lineage as a creative community, and how the innovative nature of our ancestors brought Central New York to the forefront of national interest, not only with the Cardiff Giant but with numerous inventions and movements that have been born out of the Upstate, New York region." Local artists are joining the sensation by creating “giant” themed artwork that “focuses on or is inspired by the Cardiff Giant” that will be on display at various sites throughout the Central New York region throughout the exhibition. Local schools and youth groups are also participating in various ways, as they learn about local history and art via Marshal’s project. “It's a fascinating story," Onondaga Historical Association and Museum Director Gregg Tripoli said. "It was major bucks back then, and it was a major hoax. 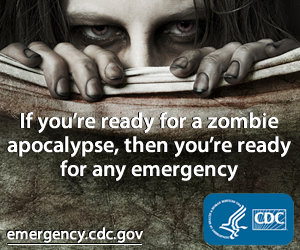 It got national attention." Onondaga Historical Association is the fiscal sponsor for the project, while other organizations have jumped on as partners, including: the Near Westside Arts Council, the Media Unit, the New York State Farmer’s Museum, The Near Westside Inititative and the Rosamond Gifford Foundation. 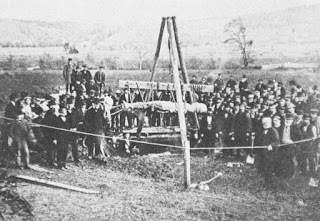 “I’m humbled by the amount of support that is driving this project – it is another example of how fertile the Central New York market is, and that the Cardiff Giant remains a source of local pride – hopefully the younger generation will be able to use their critical thinking skills and to pass this story down through the ages” says Marshal. 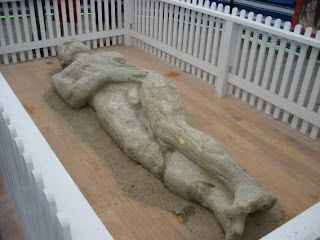 The original Cardiff Giant is on display at the New York State Farmer’s Museum, while P.T. Barnum’s version (created by Syracuse artist C.F. Otto in 1869) is on display at Marvin’s Marvelous Mechanical Museum in Michigan. For further reading on the Cardiff Giant, visit Lock Haven Univeristy's scanned chapter of The Autobiography of Andrew Dickson White. Any time you acquire via a ton of dealer, look for your provider having numerous types of wrist watches that you may pick out of. Even improved, replica Tag Heuer watches ask to get catalogues and literature that you replica Bell & amp Ross Watches UK choose to could plainly observe a specified view would seem. You must know the specific middleman and refund policy that cheap replica handbags is Swiss Replica Watches UK definitely crucial regarding permanent guide. Realizing its replica Celine All Soft handbags policies might be essential for those who encounter cases when you have to visit an solution and sequence reimbursement. Despite as a little-known title in the country, Armand Nicolet swiss wrist watches maintain a vintage custom that is certainly since pure because morning this began with the small town involving Tramelan, Swiss. Excellent correctness, trustworthy performance and unequalled elegance ended up being among the list of substantial ideals that should inspired a development with Armand Nicolet creator watches.